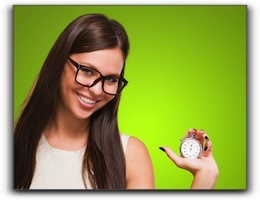 It doesn’t have to take a lot of time to improve your oral hygiene in Murray. In fact, you can form a new habit to benefit your oral health in 10 seconds. At Salt Lake Dental Care – Clint Blackwood DDS, we help patients improve their smiles with cosmetic and general dentistry. Today, we offer our patients 6 ways to add essential dental care to each day in 60 seconds or less. Look around. In 10 seconds you can probably find 5 places to set your toothbrush that will allow air drying and can curb the growth of microorganisms that a closed, moist environment would encourage. If you want to build consistency, you need reminders. Deliberately setting out the floss will give you more commitment to using it. And if you see it, you’ll remember that commitment to improve your oral hygiene in Murray. If you’re in 20 seconds already, might as well grab the fluoride rinse and swish away bits of food after flossing and freshen your breath at the same time. 10 seconds is the minimum but 20 is twice as good. Call Salt Lake Dental Care – Clint Blackwood DDS. Have a short conversation with our team and you can secure yourself a consultation with a high-quality dental practice. We will examine your teeth for far more than 10 seconds and help keep your smile healthy and beautiful. We can also answer questions about how to improve your oral hygiene in Murray. We offer services such as general dentistry, cosmetic dentistry, sedation dentistry, or dental implants. Trusted since 2005 to promote healthy smiles and educated hygiene, we will take care of all your dental needs. The common household toothbrush. Every Murray home has at least one, and hopefully, all Murray residents are brushing their teeth after each meal. While cosmetic dentistry and a complete smile makeover seem to be all the rage these days, daily brushing is still the most important thing you can do for your oral health in Murray. 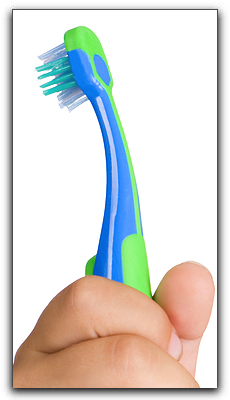 It has been said that each toothbrush can contain millions of bacteria. But don’t worry, those bacteria come from our mouths, which harbor equal amounts of bacteria. For a person with a healthy immune system, these bacteria pose no threat to your oral health in Murray. However, a few common sense tips might keep any unnecessary germs from affecting the toothbrushes of Sandy, Taylorsville, and Draper dental patients. First, be sure to store your toothbrush as far away from the toilet as possible, and close the toilet lid before flushing. Each flush of the toilet releases a spray of bacteria into the air, so it’s best to just eliminate the spray. Next, since bacteria like a moist environment, store your toothbrush upright and without a travel case so that it can dry completely between uses. The American Dental Association recommends replacing your toothbrush every three to four months. Brushing and flossing are the key to good oral health in Murray, and doing both each day will keep dental patients’ risk for gum disease, cavities, and bad breath very low. Keep your smile bright by visiting Salt Lake Dental Care – Clint Blackwood DDS regularly and practicing proper oral hygiene. Dr. Clint Blackwood has been a dentist in the Murray area since 2005. We can answer any questions you have about cosmetic dentistry procedures such as tooth whitening, porcelain veneers, dental implants, and clear braces. Call to schedule an appointment today! Dental Health in Murray: Do I Need a Dental Cleaning if I Brush & Floss? Today’s post focuses on professional dental cleanings. You might wonder if you need a professional dental cleaning if you already practice dental hygiene daily at home. The answer is that both processes are important because they work in tandem to maintain dental health in Murray. Dental cleanings increase the effectiveness of your daily oral care by removing the plaque and tartar that can accumulate regardless of daily brushing and flossing. In fact, when plaque hardens, it can only be removed with the special tools used by a hygienist. A hygienist will first use a vibrating ultrasonic tool to dislodge the largest pieces of tartar. This process may tickle a bit. The hygienist will then use tools with finer attachments to remove the smaller pieces of calculus. When all plaque and tartar is gone, polishing is the final step in the cleaning process. If you have braces, you may want more frequent dental cleanings because food can easily lodge between the wires. The goal is to make your tooth surfaces as smooth as possible, to prohibit food particles from lodging in little spaces that are difficult to clean. If you are having an exam during the same visit, your technician may take dental x-rays. X-rays can reveal cavities while they are small and can be easily filled. Let your hygienist know if your teeth are sensitive so he/she can make your cleaning as comfortable as possible. After the cleaning, a fluoride treatment may be given to help strengthen your teeth and improve dental health in Murray. Before your hygienist leaves, you may want to ask if there are areas you can improve your dental health in Murray. Your hygienist can tell you which tooth surfaces had the most build-up. If the back teeth are presenting a problem, you can meet with Dr. Blackwood about sealants. Our practice also offers services such as dental implants, porcelain veneers, and sedation dentistry. Call Salt Lake Dental Care at 801-938-8855 to schedule a professional cleaning today! Your smile will thank you. Here at the Murray dental blog, we never like to be the bearers of bad news, but we are devoted to our patients’ dental health in Murray. So, today we offer an important warning about a lesser-known danger of sticky candy. Most people probably know that sugar is not your teeth’s friend. Eating candy creates the perfect environment for harmful cavity-causing bacteria to thrive in your mouth. 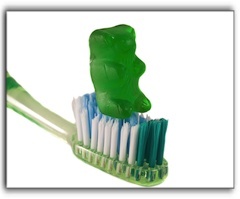 If you do eat candy, remember to thoroughly brush and floss your teeth afterward to prevent cavities from forming. Did you know that the physical toll of chewing on sticky candy can aggravate a condition in the temporomandibular joint called Temporomandibular Disorder (TMD)? The jaw is a delicate joint and sticky candy increases stress and the possibility of taking the jaw out of alignment. Along with healthy teeth, we also want you to have an exceptional smile that you can be proud of. If you have any questions about teeth whitening, smile makeovers, or other cosmetic dentistry procedures, give us a call today at 801-938-8855. Our friendly staff hopes to hear from you soon! Here is some important news for anyone who cares about their dental health. 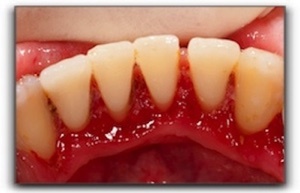 Periodontal disease, or gum disease in Murray, is a principal cause of tooth loss among adults. It’s also worth mentioning that both children and teenagers can also show signs of gum disease. Furthermore, there is evidence that it is linked to heart disease. Fortunately, this problem is easy to treat if it is discovered in the early stages. Hopefully, you are not experiencing any of these symptoms. However, if you are not removing plaque between your teeth, your gums are at risk. Brushing alone is not enough—make sure you floss daily in order to prevent gum disease in Murray. Regular check-ups with your dentist is another essential weapon in the fight against gum disease. At Salt Lake Dental Care – Clint Blackwood DDS, we take pride in caring for our patients’ oral health and want them to have a healthy and satisfying smile. Many of our patients wonder if a cosmetic dentistry is right for them. If you’d like to know, schedule an appointment and we’ll take a look! Our practice offers also offers wisdom teeth removal, Invisalign, sedation dentistry, and porcelain veneers. Give us a call today for more information. At Salt Lake Dental Care – Clint Blackwood DDS, something that we are proud of is that we have been providing excellent dental care and modern dentistry in Murray for our patients since 2005. Today in our blog, we’re going to discuss an overlooked aspect of modern dental health, toothpaste. 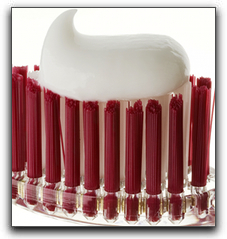 One of the critical habits of good oral health is daily tooth brushing with an effective toothpaste. There is a wide variety of toothpaste available. We recommend you use one with fluoride and make sure it has the ADA seal. This ensures that the toothpaste has been tested, claims are being met, and the ingredients are correct. Just because a toothpaste claims to have a ‘whitener’ in it, doesn’t mean it has fluoride. Toothpaste as we know it has only been in existence since the late 1800’s. Fluoride was added in 1914. The earliest evidence of toothpaste or dental cream dates back to 3000-5000 BC. The Ancient Egyptians pulverized oxen hooves, egg shells, pumice, myrrh, and water creating one of the earliest forms of toothpaste. The Greeks and Romans began adding crushed bones and bark to the mix. The taste most likely was not very pleasant. During this same time the people of China and India were using a similar paste, but adding flavorings, like Ginseng and herbal mints making it a bit more palatable. Salt Lake City toothpaste users have no excuse for not brushing their teeth daily with the toothpaste we have available today. The experienced staff at Salt Lake Dental Care – Clint Blackwood DDS wants to help all Utah smiles be whiter and healthier. Contact us today at 801-938-8855 so we can answer any questions you may have about tooth whitening, invisible braces, cosmetic dentistry, and modern dentistry in Murray. It is harder to keep your teeth clean if you wear braces, there is no doubt about it. It’s always unfortunate when those with braces develop tooth decay which can weaken their teeth. This is why oral hygiene in Salt Lake City is so important, especially for our younger patients. Teeth are not the only thing at risk here, orthodontic patients can also develop gum disease which can progress quickly into periodontitis and eventual tooth loss. Bottom line, orthodontic patients need to be vigilant about a healthy diet and effective oral hygiene in Salt Lake City. Most of our patients with braces know that they should avoid sticky, sugary foods that stick to their braces, but some don’t realize that any carbohydrate-based food turns into sugar. Thus, a cracker can be just as bad for your teeth as a Tootsie Roll, if the food particles are not removed. 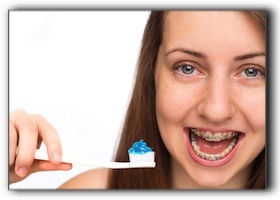 Those with braces should also watch their intake of highly-acidic foods and beverages. Though some acidic foods are very healthy – think tomatoes, oranges, raspberries – it is wise to substitute less acidic foods that contain similar nutrients. There are few beverages as harmful as soda and sports drinks, both of which have the detrimental duo of acid and sugar. Salt Lake Dental Care – Clint Blackwood DDS provides quality general and cosmetic dentistry including sedation dentistry, wisdom teeth removal, and Invisalign. Our understanding team is enthusiastic about oral health and beautiful smiles. If you are new to the Salt Lake City area, we invite you to call us at 801-938-8855 to schedule an exam and cleaning. Our team looks forward to meeting you.